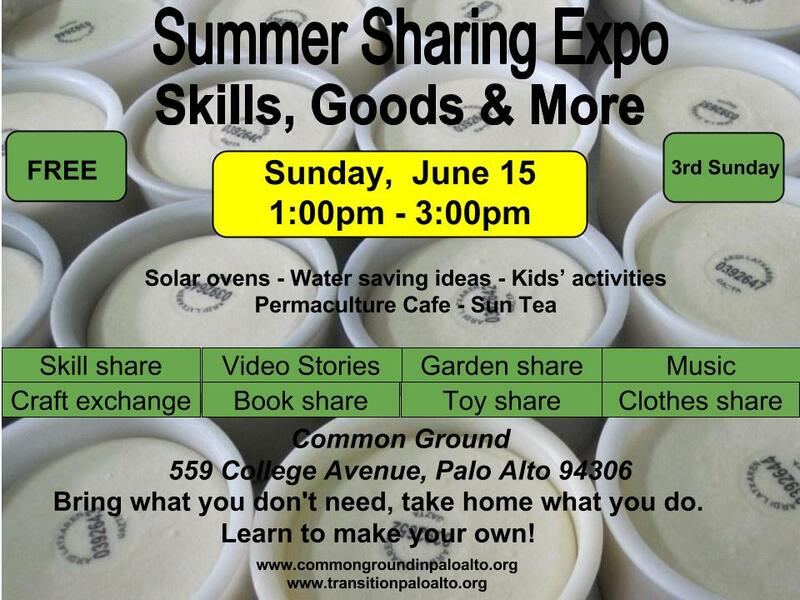 Our quarterly sharing expo kicks off summer on June 15 from 1-3pm at Common Ground. Come share goods, skills, and stories with us and your neighbors. – Victoria Armigo will do a workshop on making self-watering planters, open to all. 5 planters will be offered at cost. – Diane and Dave Ruddle will demonstrate various solar ovens (with food) and kids can learn how to make their own.